English Colonial buildings typically included medieval details including steep roofs, small windows and minimal ornamentation. 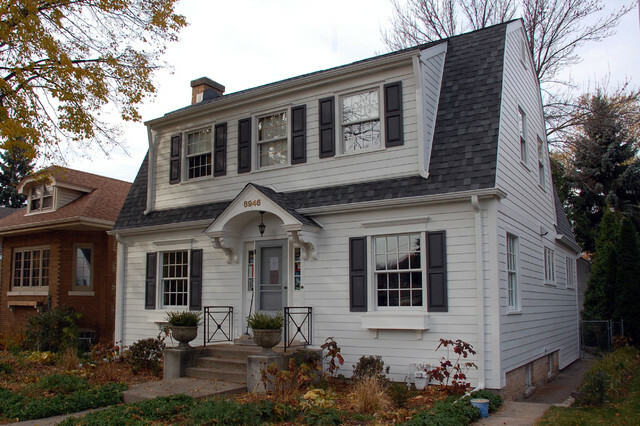 Colonial homes are symmetrical, with a centered front door and an equal number of windows on each side. A typical number of windows showing on the front of the home is nine: two on each side of the door, two windows directly above the first story windows on the second story, and one directly above the door. Palladian windows at the center to represent building symmetrically. Homes have a central chimney or one on each end of the house. Inside the home, a central stairway leads to upper bedrooms branching off from a central hallway. 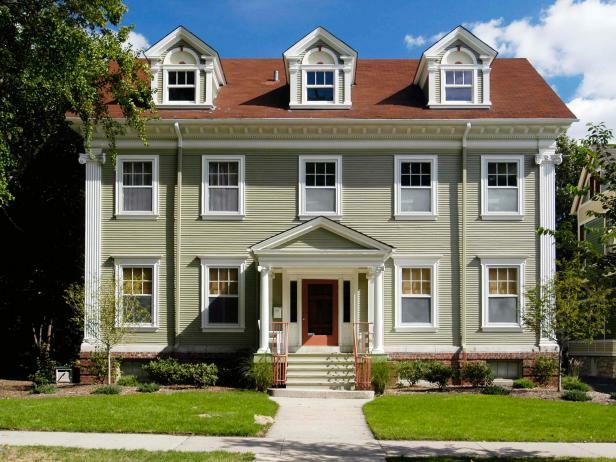 Wide Porches at the front with corner pilaster/ columned portico. Some major elements and features include: Dormer windows light and ventilation for top floors Triangular pediment as shading device. Hipped roof or steeped roof. Decorative elements like frieze. Dentils, oval stained glass windows, curved balustrades. Features commonly associated with the square or rectangular shape of the entire house. This style emphasizes upon using heavily-paneled entrance doors. Further, the doors have flattened columns on each side. Garage: Attached Type and facility for two cars. 413 sq. ft space has been allocated. Living Area: 3,048 sq. ft. | First Floor: 1,384 sq. 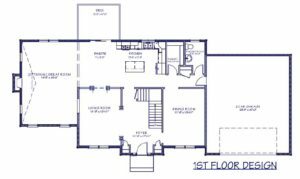 ft. | Second Floor: 1,292 sq. ft. Here is a collection of some more designs that could be improvised and enabled technically with smart features and interiors that suit today’s requirements in India. Aesthetically these buildings are pleasing and extend a Luxurious Feeling. For larger sized plots, one could integrate this with nice Landscapes and water bodies, designed depending on the type of usage.